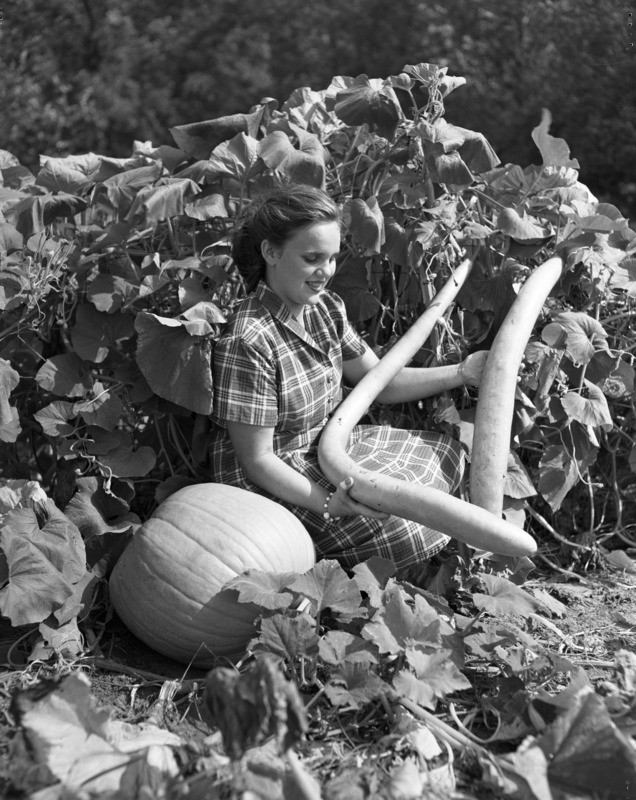 MORE GOURD THAN BEAN: The out-sized sample of New Guinea bean which 14-year-old Glenna Sunday of 4259 Dexter Rd. is shown holding is really more gourd than bean. When still green it cooks up into a mighty fine substitute for summer squash, according to Glenna's mother, Mrs. Glenn W. Sunday.